A properly functioning security system is a requirement of our insurance contract. Securing insurance for QPTC has proved remarkable difficult because a) the building is in a public space, and b) the old 1930s summer pavilion is not officially a building made of bricks and mortar. As well as a new key, QPTC will be issuing a four digit security passcode. As with any security system, the fewer key holders, the safer it is. There will be a limited number of clubhouse keys issued to directors, coaches, and regular clients. Team captains and some regular volunteers will also receive keys. All key holders, including directors, will need to pay a £20 deposit, and sign a Ts&Cs form. The club will maintain a list of all key holders. Please note that this refers to clubhouse keys only, not keys to the tennis courts, which will not be changed. All players should be aware that the clubhouse will be open as normal during the vast majority of club events, such as club sessions. The clubhouse will remain open throughout the day on Saturdays and Sundays, and during our various drop-in sessions on Mondays, Tuesdays, Wednesdays, Thursdays and Fridays. Over the course of any week, however, there will be various clubhouse bookings by clients, during which time members cannot use the clubhouse, whether they have a key or not. These bookings have been in operation since October 2018, at the current rate of 5hrs per week (BeeZee Bodies + Centre Church). In those comparatively rare situations when there is no access to the clubhouse due to a booking, members will have to plan according or use the loos in the playground, which is a two minute walk. We shall use Do Not Disturb signs to indicated a booking in progress. Please respect the signs, and do not try to enter the clubhouse when it is being used by clients. The QPTC committee is presently exploring workable options to build a separate area of the clubhouse with its own access to loos and fresh water. The aim would be a solution that allows members to use these facilities even when the venue is being hired out. 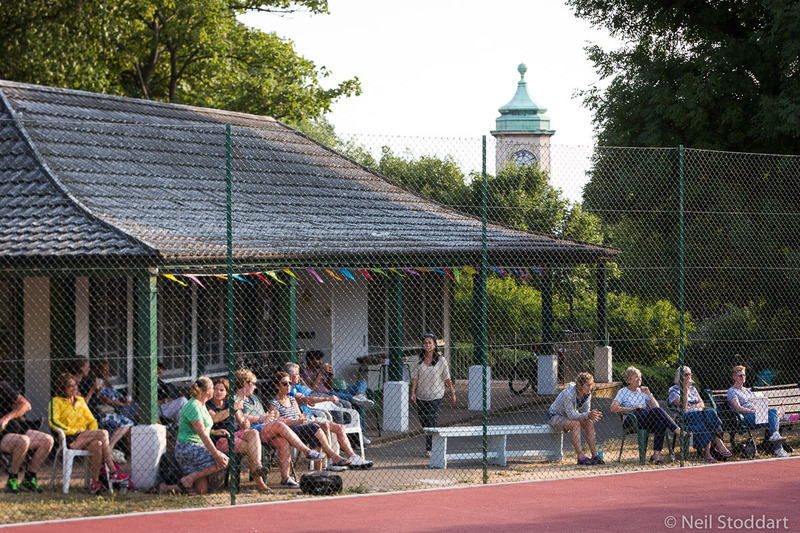 As explained at the EGM, generating income from clubhouse bookings is a vital element of QPTC’s financial planning, to pay for maintaining our courts and to keep membership fees as low as possible. We would stress again that the vast majority of the time that the clubhouse will be open as usual for members.